More organizations are recognizing the power of video remote interpreting to connect with customers instantly, providing the benefits of face-to-face interaction at a fraction of the cost. Actually implementing it, however, feels a lot like navigating a new frontier. It’s unfamiliar territory, and there are few precedents or guidelines. If your team is ready to forge onward and you don’t know where to start, here are a few recommendations to follow. Be sure to ask whether the cost of the new technology includes any related equipment costs and ongoing IT support. Involving your information technology director in the selection process early will help you avoid unexpected implementation headaches later. Implementing video remote interpreting can be frustrating if you’ve never done it before. A good video remote interpreting provider won’t leave you to figure out the messy details on your own. They should provide thorough implementation support free of charge. 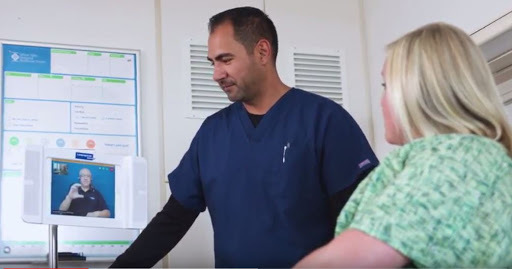 Talking through the implementation process with your provider will ease any concerns you may have and help you identify potential issues before they become hassles. Even best-in-class technology is only as strong as the people who use it. Ensuring your staff is properly trained is a critical aspect of any successful implementation. Ideally, your provider should provide training free of charge as part of the implementation process. Entering new territory can be intimidating, but it’s also exciting. Video remote interpreting helps us move closer to a world without language barriers. It can help your staff serve limited English proficient populations more efficiently, reduce misunderstanding and complaints, and build stronger relationships with a diverse group of people. A good video remote interpreting provider should guide you through the implementation process and support you every step of the way, allowing you to forge ahead with confidence. How can you be sure you’re choosing the right one? This short guide will walk you through the most important factors to consider and offer best practices to follow before, during, and after implementation.